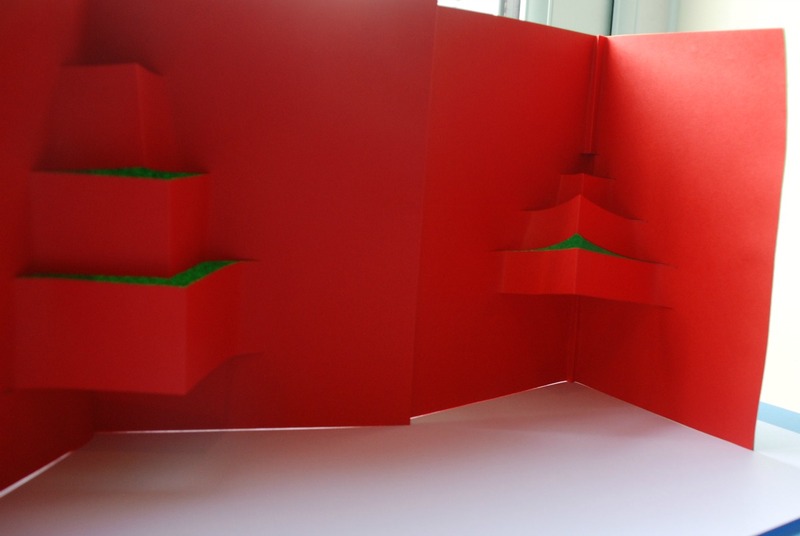 The kids and I have been making some Christmas present cards. 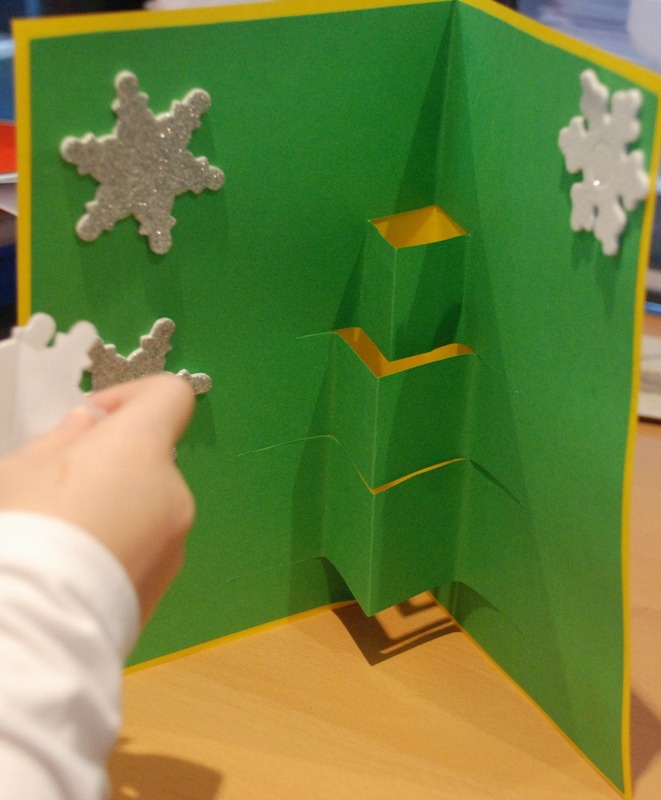 We tried something new this year – it a Christmas card activity that I did when I was at school. I liked the idea of trying this as the kids had to fold the paper, cut the paper, do some glueing and they got to decorate it. The idea is that is supposed to look like a pile of Christmas presents. 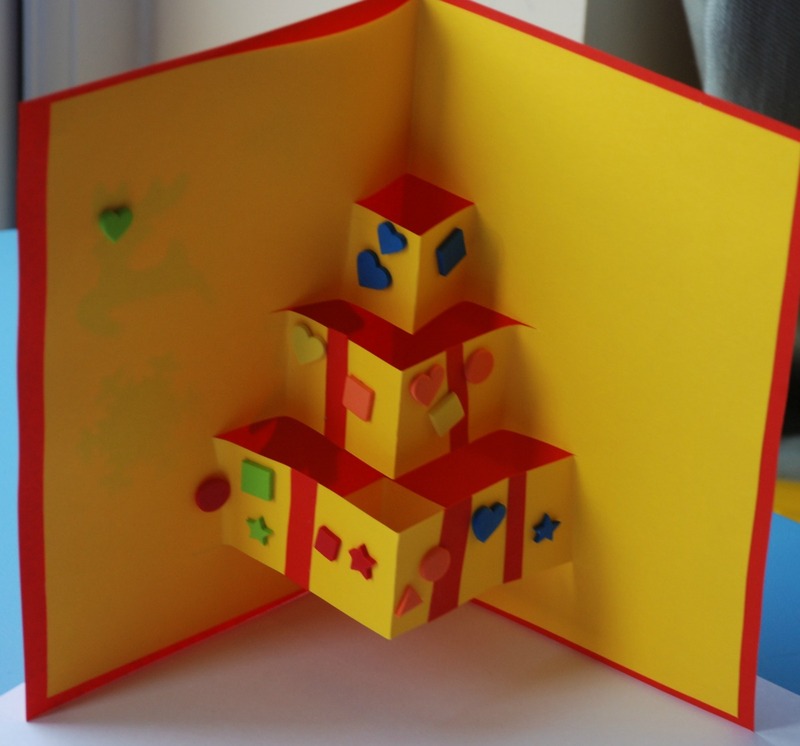 The kids had a lot of fun making them and enjoyed using the stickers and strips of paper to decorate them (I did have to help my youngest with getting the pile of presents to stand out as he did battle with this). To start off with you need to fold a piece of paper in half. 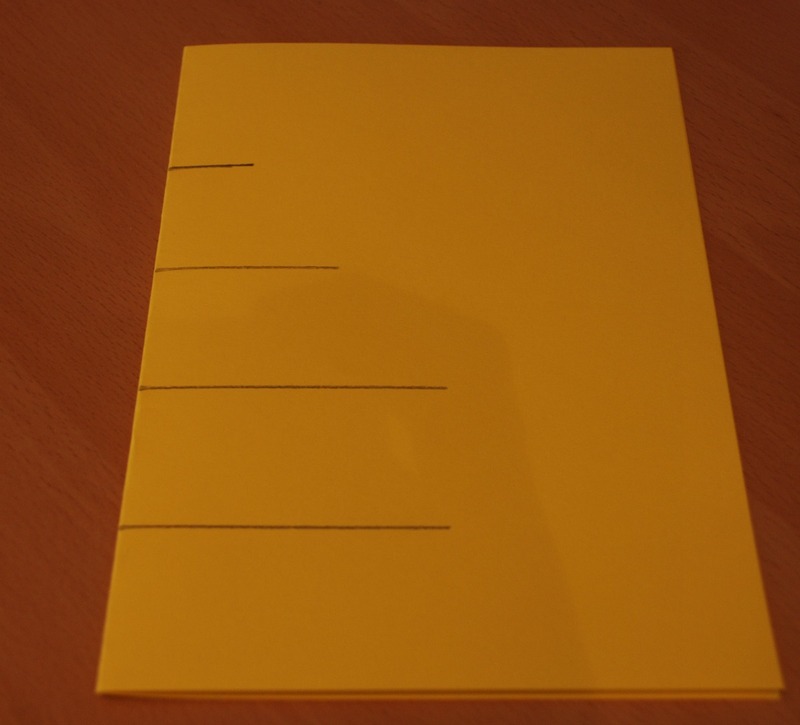 Then you need to draw 4 lines on the paper (on the fold of the paper). The bottom two are the longest and should be the same length. You need to have an adequate gap between the lines (in our first attempt it was too narrow and it did not look as good – in the photo below you can see the thicker strips look much better). 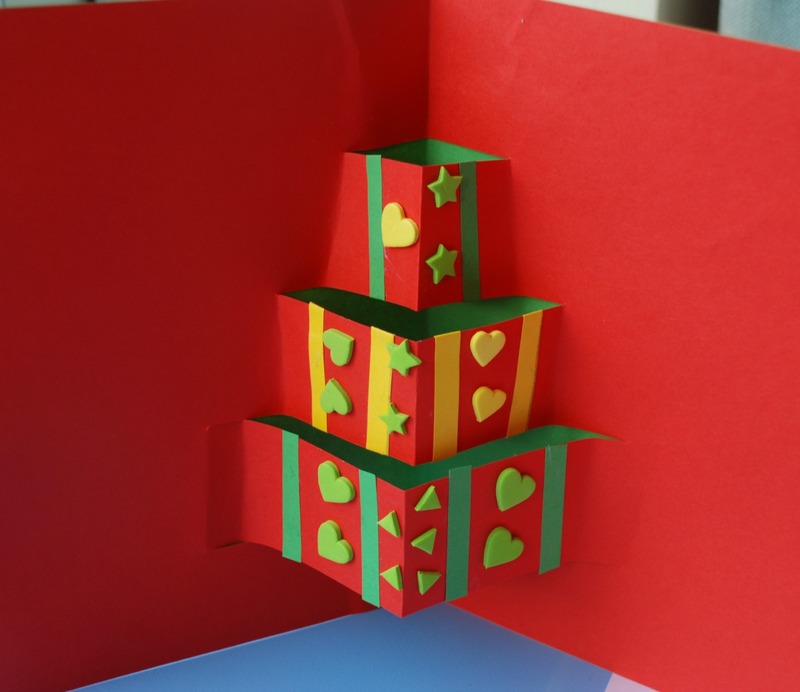 Cut along the lines, open the card up and gently pull the strips out. 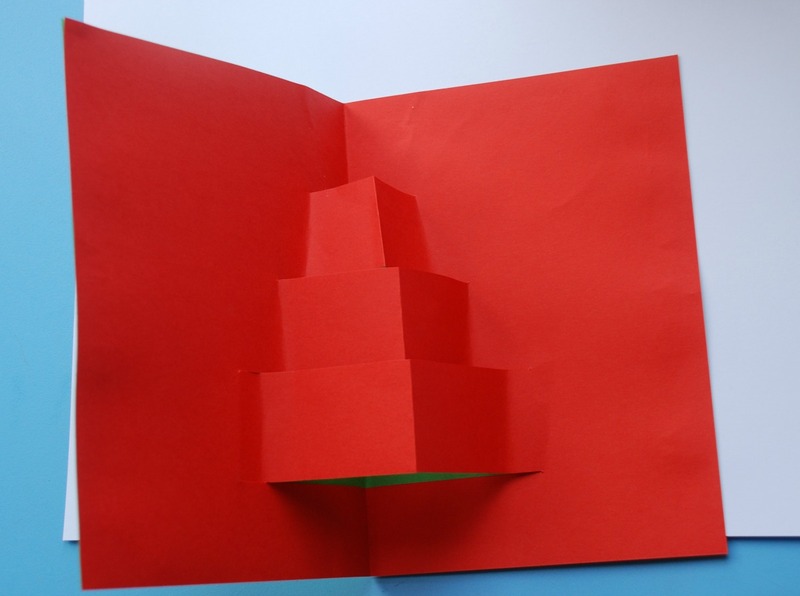 Then glue the card onto a different coloured background card. We found that it looked nice if the inner card was slightly smaller than the background card as it gave it a nice border. And let the kids have fun decorating. I do include Affiliate links. If you follow an affiliate link and go on to purchase that product, I will be paid a very small commission, however your cost will remain the same. 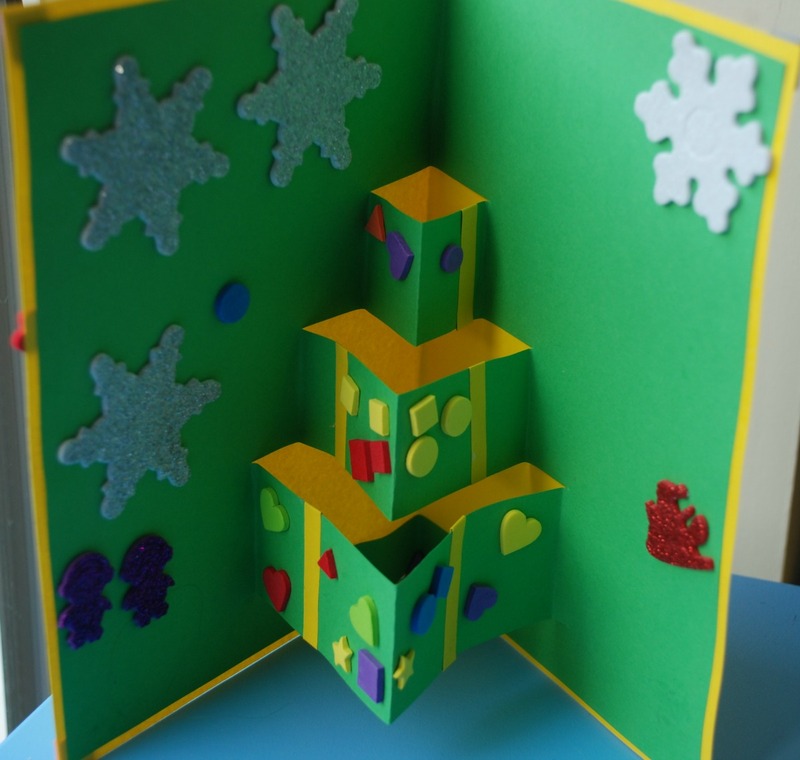 This entry was posted in Art and Craft Ideas, Homeschooling and tagged children's craft, Christmas cards, Christmas crafts, home ed, homeschooling, Pile of present Christmas card. Bookmark the permalink. How fun! We will have to try this. I love homemade cards, especially when kids make them.